Early-Bird entries for Oceania 2017 close on 30th September 2016! Just six months to go until our first Oceania event kicks off two weeks of international level orienteering on your back-door step. Get your entries in and crank up your training! Enter before 01 October 2016 to save 13% off the standard entry price. 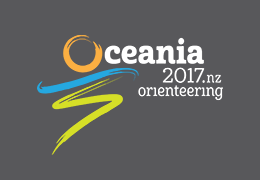 For more information visit the Oceania Orienteering Championships 2017 website.